Global Map of Carbon Monoxide concentration. How do you address the question of what should be measured in the air to help determine its quality in a meaningful way? As Safecast has been expanding its efforts into monitoring air quality we’ve been sorting out what to measure based on the following criteria: public health, environmental interest, and durability of the sensors involved. The impact of atmospheric composition on various respiratory and cardiovascular conditions has been heavily studied for decades. Starting with the work of the Environmental Protection Agency and U.S. health standards we get a focus on gases such as Carbon Monoxide, which has the nasty habit of blocking the absorption of Oxygen into the bloodstream, as well as microscopic particulates, which will slowly damage lung tissue especially as the particulate size drop below a millionth of a meter (About 1/200th the width of a hair). 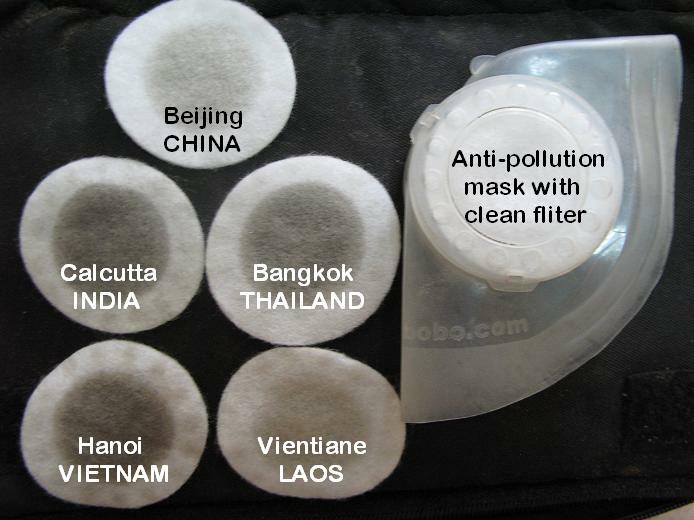 Personal air filters from different cities. 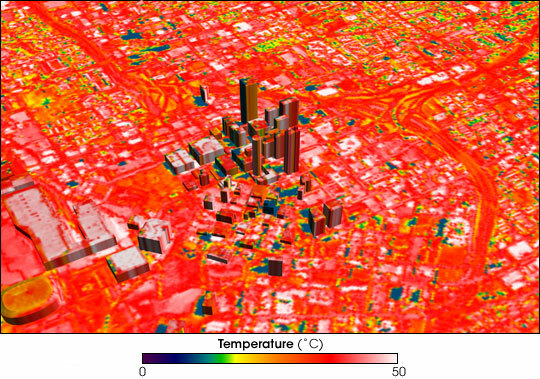 Cities have an impact on their local atmosphere beyond the composition of any one target gas which has also been of interest to everyone from research scientists to people trying to reduce their air conditioning bill: the urban heat island effect. This effect is quite easy to demonstrate by comparing the surface temperature of an asphalt parking lot and comparing it to a grassy field on a sunny day. Cities, being mostly composed of dry and non-reflective surfaces, tend to absorb far more heat than the surrounding countryside. The result of which has been associated with an increase in summer fatalities, increased power consumption, and shifts in local rainfall patterns. The evolution in these patterns can be better understood even by just monitoring the local temperature and humidity across an urban area. While a number of target gases have been identified in our development work we do also want to deploy monitors which could run for years with little to no maintenance. For example, compact and robust sensors exist which can measure Ozone, Nitrogen Dioxide, Volatile Organic Compounds (e.g. Methane), and Carbon Monoxide. However, the sensors which could monitor Sulfur-containing gases such as Hydrogen Sulfide and Sulfur Dioxide, which are also associated with acid rain and respiratory ailments, tend to wear out over a scale of months. Profile of a solid state Nitrogen Dioxide sensor. Temperature, humidity, Carbon Monoxide, Ozone, Volatile Organic Compounds, Nitrogen Dioxide, and particulate matter of diameter one micron and above.